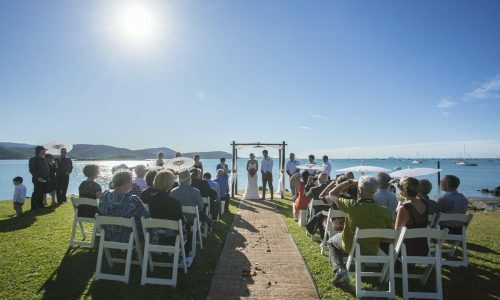 In the Whitsundays at a price you can afford! 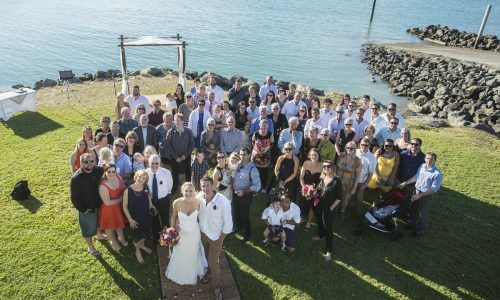 Belonging to the community organisations of the Volunteer Marine Rescue and the Whitsunday Game Fishing Club, the venue of the Whitsunday Marine Club is a cost effective location. 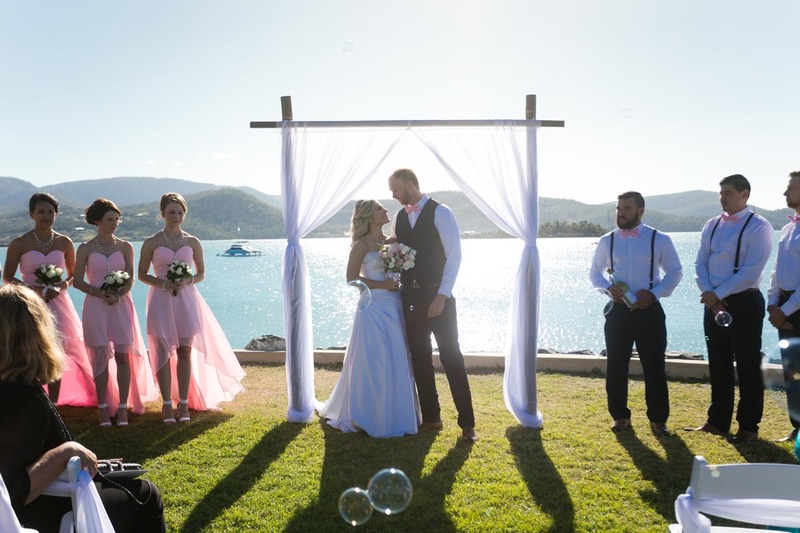 Hire the venue as a blank canvas and cater and decorate yourself or work with one of the local professional event organisers to create your dream wedding. 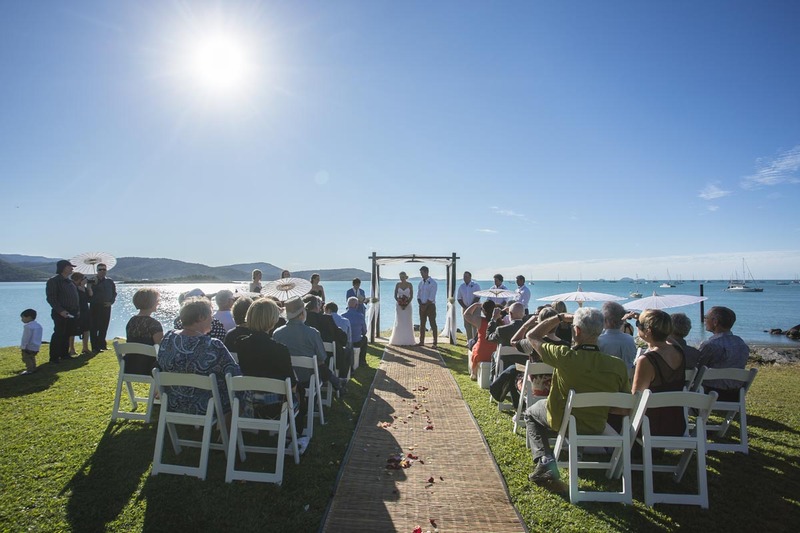 The Whitsunday Marine Club offers expansive views over the Whitsunday Islands and the calm waters of Pioneer Bay. 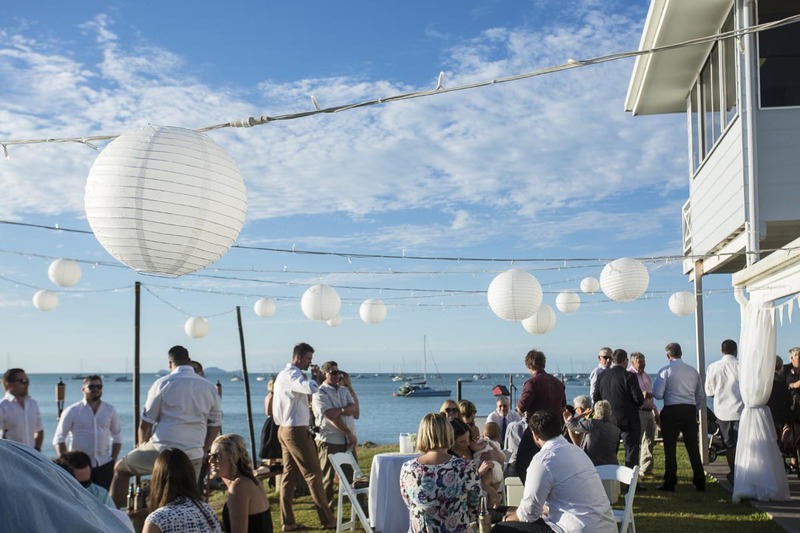 With a north-east aspect this truly is the best venue in the Whitsunday to watch the sun set. 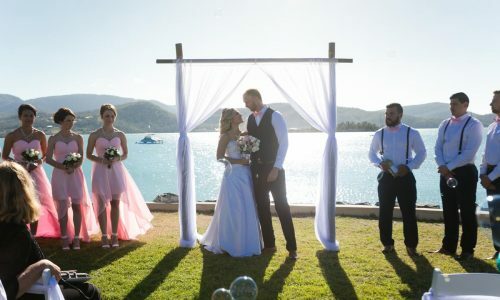 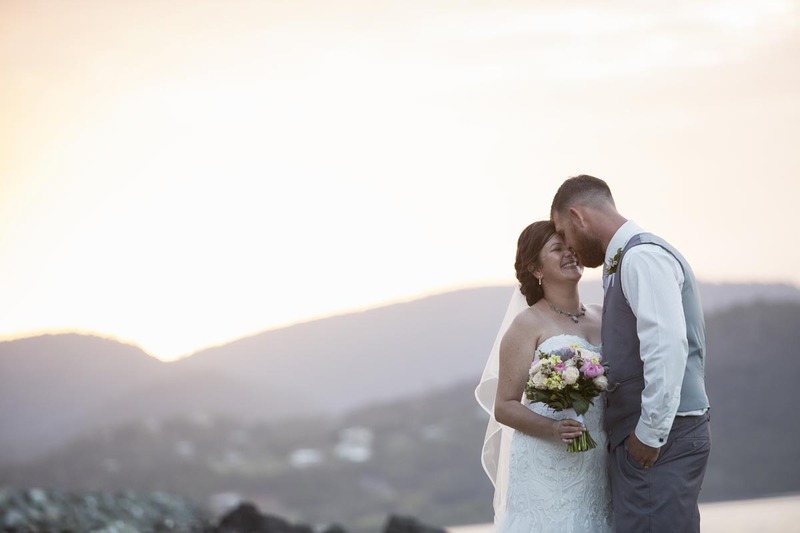 Providing ample outdoor space, with freshly cut lawns this is one of the only venues in the Whitsundays to offer you the option of a complete outdoor wedding experience. 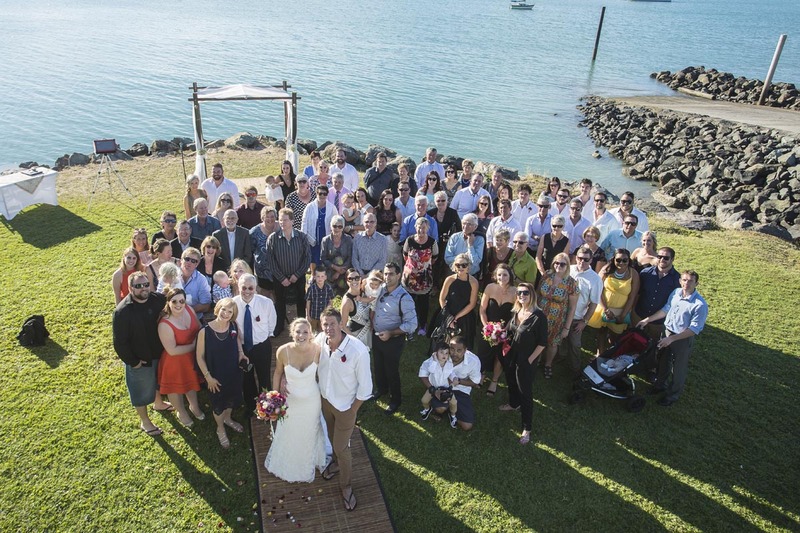 The Whitsunday Marine Club caters for up to 90 guests indoors and 220 guests outdoors for your wedding reception. 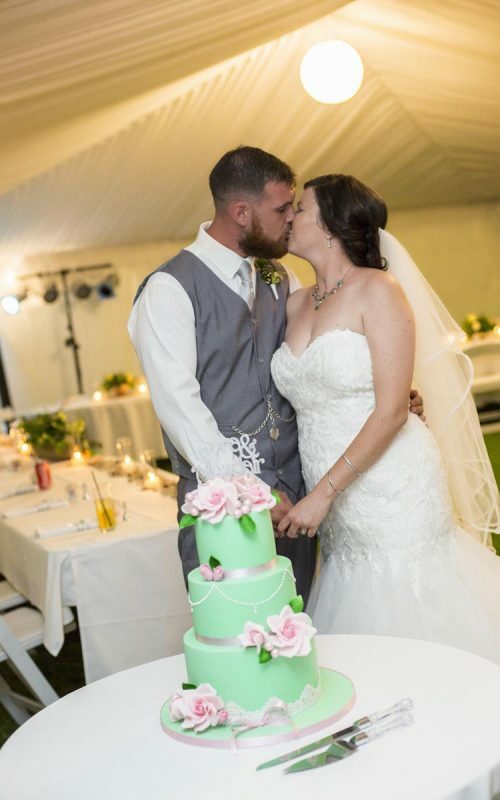 The venue is fully licensed with a very well stocked bar that extends its community club prices to you and your guests for your wedding day. 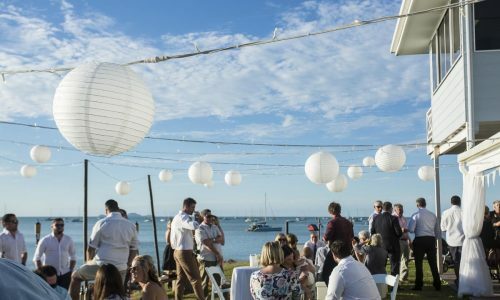 Fully licensed with all beverages available at super cheap members prices. 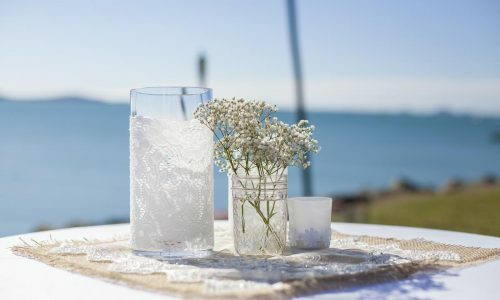 Open Bar or TAB system for drinks consumption. 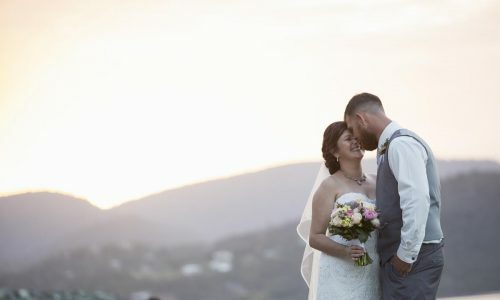 AV Projecter to display your wedding slideshow or any other visuals you may wish to show during your wedding reception. 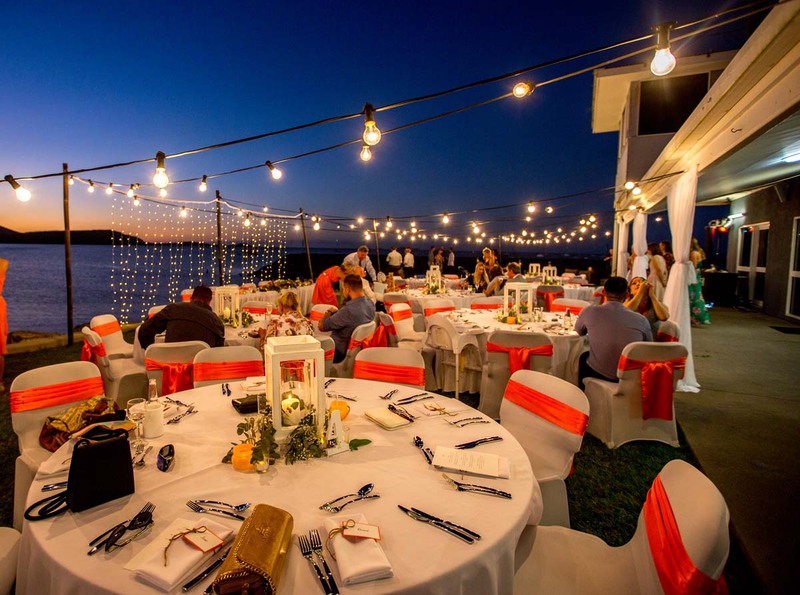 Local caterers can provide canape, buffet, alternate drop or banquet menu options. 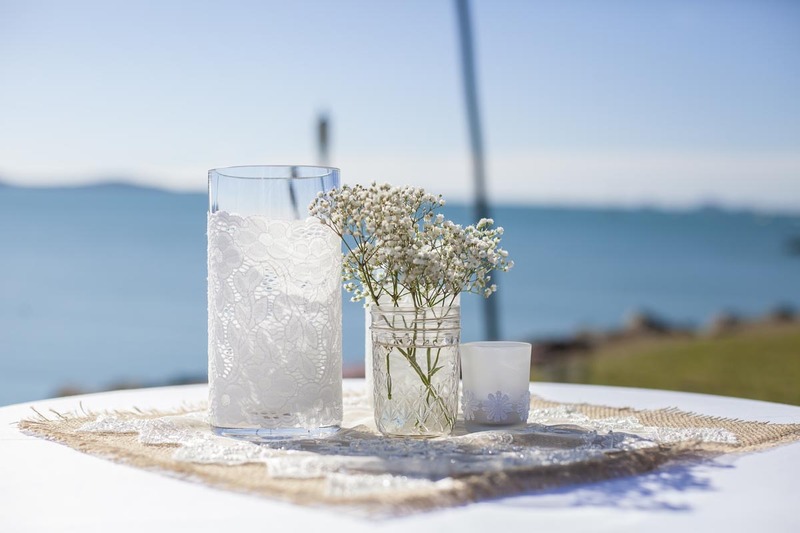 No request is too big or too small and we are happy to cater to your requests.